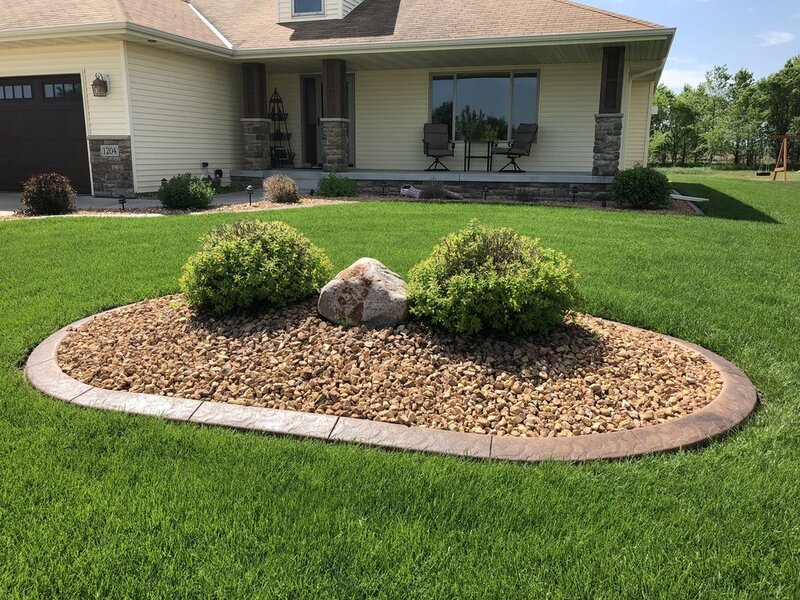 Are you sick of the frost pushing your black plastic edging out of the ground and hitting it with your lawnmower or having weeds grow up between your landscaping pavers? At Creative Curbing we provide decorative concrete curbing that creates your own beautiful unique edge for your landscaping. Our curbing is suitable for both commercial and residential properties. We are committed to quality workmanship and excellent customer service. It all starts with a free estimate were we walk the property, listen to your ideas, and help create your own creative landscape design. From there, we work with you to help find the right color combination to match your property. Once on the job we collaborate with you on laying out the design. Once the design is approved, we remove the sod. We mix our cement on site and haul it around your yard and shovel into our curbing machine which extrudes the concrete edging. The equipment is small and will not disturb your yard. Most jobs can be completed within a day. Creative Curbing offers three different styles; Slant style, Mower style, and 4 x 6 Curb. We offer numerous different integral colors which can match any house. Along with integral colors there are many different color combinations that can be achieved through stamping techniques. Creative Curbing is locally owned by the father-son team of Toby and Nick Molitor. Nick began working for Creative Curbing while in high school, a year after the company was established in 2004, and he continued to work for them while completing his degree in business at St. Cloud State University. In 2009 Nick was offered the opportunity to purchase the company, at which time he consulted his father and mentor to join him as his business partner. 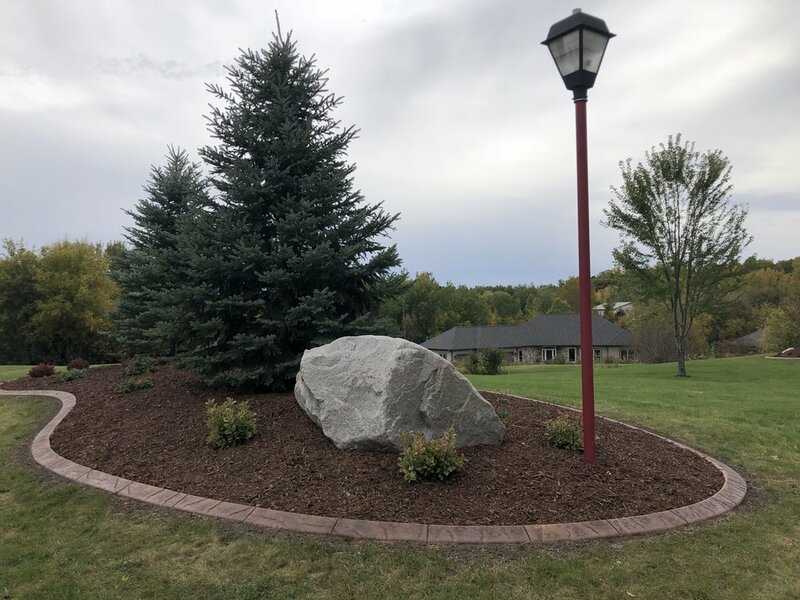 Together they serve Central Minnesota with high quality landscape curbing. Throughout their nine years of operation, Toby and Nick always strive for nothing but excellence in customer service, quality, and workmanship in every job they complete.